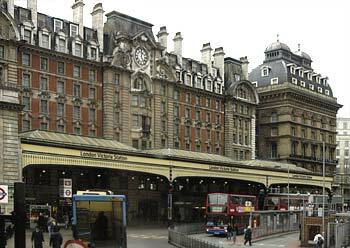 Victoria Coach Station is famous for its low prices, tickets being bought for less than 2 pounds. However, it is indicated for you to make reservations in advance, otherwise you will have to wait for a long time at the usual queuing. The most popular destinations are not only in the UK, but in Europe as well. Victoria Coach Station is situated very close to Victoria Railway Station, so that you can also use the Tube and reach important areas in Surrey and Kent. In case you are in need of an airport transfer from Stansted Airport to Victoria Coach Station, we have provided you at the end of this article a series of means of transport. We hope that they will be useful and suitable for your family’s budget. If you need to get to the coach station in order to move on to another country, we would strongly advise you to do your best and stop in London for at least one day and visit its beautiful sights and attractions. You can book a room at a nearby hotel, like Eccleston Square Hotel London (37 Eccleston Square), Georgian House Hotel London (35-39 St Georges Drive) or Tophams Hotel London (24 – 32 Ebury Street). There are other options as well, more accessible when it comes to prices. After you have checked-in, feel free to wander all day long in search of touristic treasures. In Victoria Coach Station area you will find the following attractions: The Boisdale Jazz & Cigar Club (15 Eccleston Street, Belgravia), Royal Court Theatre (Sloane Square), Cadogan Hall (5 Sloane Terrace), Edel Assanti (272-274 Vauxhall Bridge Road), Purple Dragon (Grosvenor Waterside, 30 Gatliff Road, Pimlico) and St Peter’s Church, Eaton Square (119 Eaton Square, Belgravia). For nightlife lovers, there are several pubs and bars and also amazing restaurants that can meet your every expectation and even more. Shops, boutiques and markets are the best places for souvenir acquisitions, because you will definitely want to surprise your loved ones with a small, yet lovely British gift. In order to get a Stansted to Victoria Coach Station by rail, you have the train from Stansted Airport (every 15 minutes) via Tottenham Hale Underground (every 5 minutes) and then just have a 1 minute walk. This whole journey takes about 54 minutes. Another option would be to take the bus from London Stansted (every 60 minutes) and then enjoy a short walk of 1 minute. This journey will take about 1 hour and 16 minutes. A Stansted to Victoria Station Transfer by car can be done by taking the M11 motorway. Stansted Airport is at a 41.9 miles distance from London Victoria Coach Station. This journey will take about 58 minutes, without including traffic. A Stansted to Victoria Station Taxi with 247 Airport Transfer is going to take about 1 hour and 26 minutes, including rush hour traffic. The price for a Stansted to Victoria Station Taxi starts from 71 GBP..